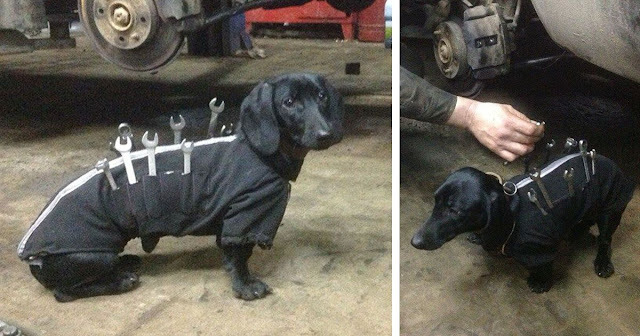 A few days ago, a Dachshund was spotted in a car repair shop, presumably in Russia, helping out humans to fix cars. The little helper is wearing a tailor-made suit filled with tools that he can deliver in seconds. A man’s best friend indeed! While the photos are all over the Russian internet, nobody knows where exactly in Russia this happened. 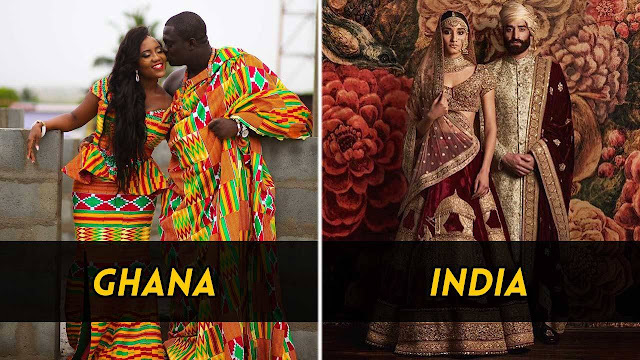 Please let us know if you have more information in the comment section below. Warning: Some people have expressed concerns about the Dachshunds’ vulnerable spine. While the tools in the pictures seem to be light and well balanced on his back, never force your dog to carry items that may be too heavy or do anything that is uncomfortable for your pet. If you are not sure, consult with your vet.